As if The Beach Boys performing at this year’s A Capitol Fourth on PBS wasn’t enough of a treat itself, the band decided to collaborate with special guests Jimmy Buffett and John Stamos for a medley of hits last night (July 4). The stars had clear chemistry on stage together, not missing a beat. The former Full House star rocked out on a red, white, and blue electric guitar, while Buffett looked relaxed as ever while strumming an acoustic guitar on the last two tracks. 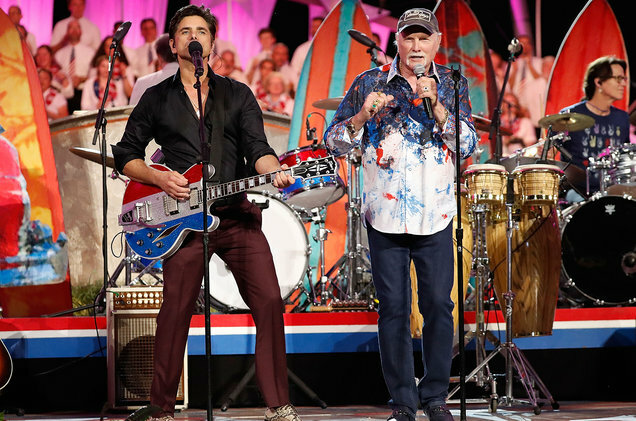 The surf-rock legends performed a trio of songs; “I Get Around,” “Kokomo, and “Fun, Fun, Fun,” and everyone, young or old, couldn’t have looked happier to be apart of the celebration.